Ismail Pasha went to Paris for the Exposition Universelle of 1867. He met none other than Baron Haussmann and returned to Cairo determined to outdo the French. 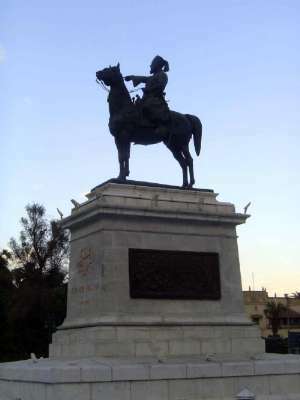 In the neighborhood between the Nile and the Abdin Palace, which he also commissioned, Ismail told his Minister of Public Works, the French-educated Ali Mubarak, to create a modern city. 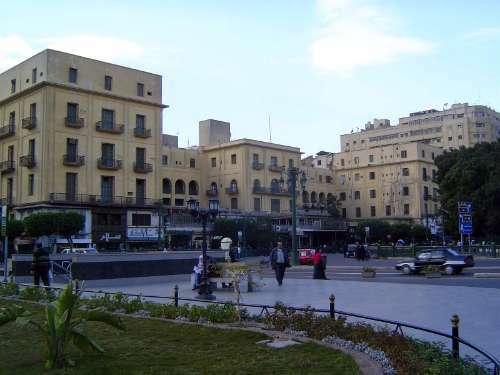 That city survived in good shape until the 1950s, when property owners, especially Europeans, suddenly found Egypt uncongenial. 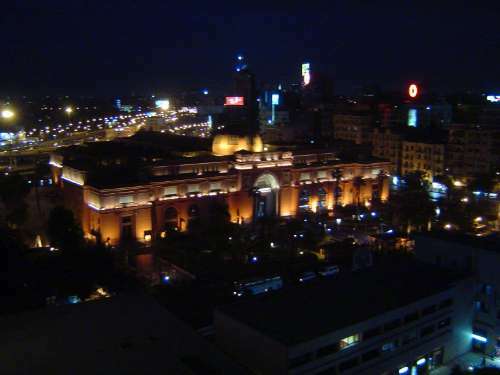 The Egyptian museum, one of the best known and certainly most visited buildings of the district. 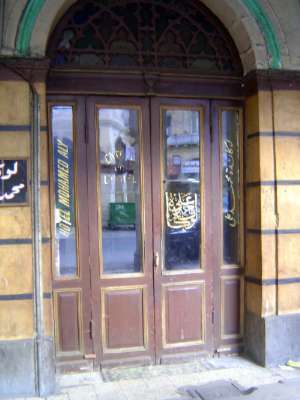 It opened in 1902, long after Ismail had been shunted from power in 1879. 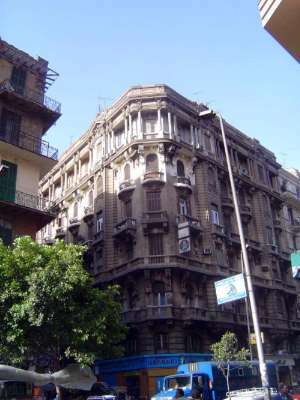 The architect was Marcel Dourgnon, and the contractor was, as was often the case in Cairo in these years, an Italian, Giuseppe Garozzo. 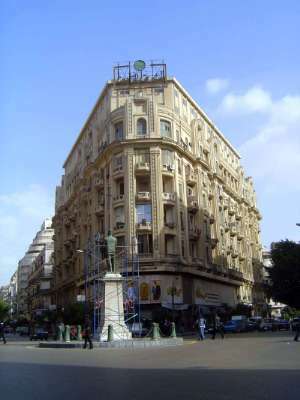 Abbas Hilmi was the khedive or nominal lord of Egypt at the building's completion. Like his grandfather Ismail, he, too, was deposed by the British, in this case for taking the wrong side in World War I. 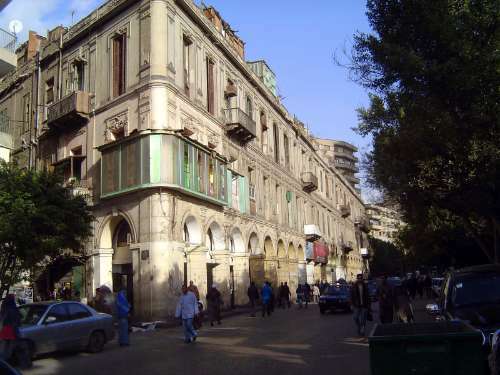 One of the main streets east from the museum is Qasr el Nil, which soon leads to Talat Harb Square, originally Midan Suliman Pasha. Whatever name you use, it's an important circle, with six streets radiating from it. Suliman, by the way, died in 1860. He was a Frenchman who Europeanized the Egyptian army. Harb was a banker of nationalist persuasions. The building shown here housed the Royal Society of Political Economy, Statistics, and Legislation. At the same corner: the mansarded Savoy Hotel. 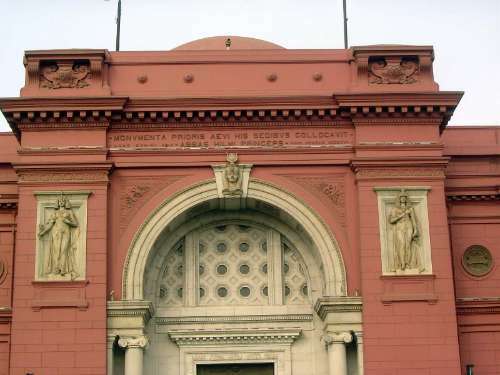 In the 1920s it housed the Land Registration Archives. 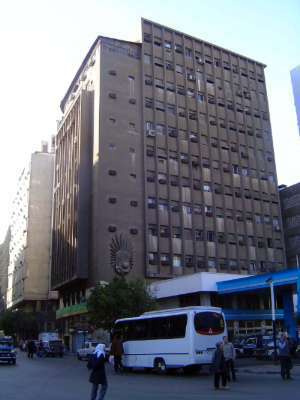 A newer building faces it: Standard Life Insurance, later Al-Chark. Its neighbor across the street was for a time the Ottoman Bank; its ground floor still houses a branch of the now very tired but once famous confectioner Groppi. 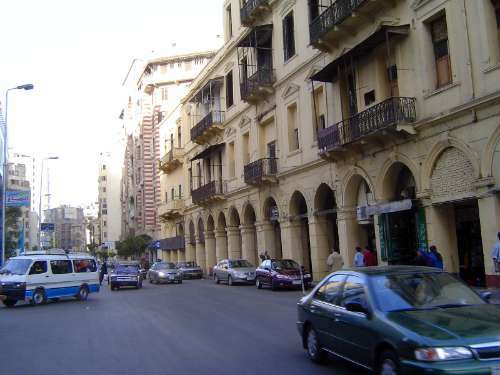 One of the streets radiating off the circle is also called Talat Harb, formerly Suliman Pasha. 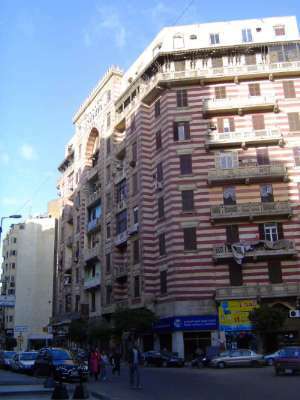 In soon intersects 26th of July Street, formerly King Fuad Avenue. The Carlton Hotel, from 1935, is still very much in business, though no longer stylish. Its location is no accident. Across the street is the High Court of Justice. 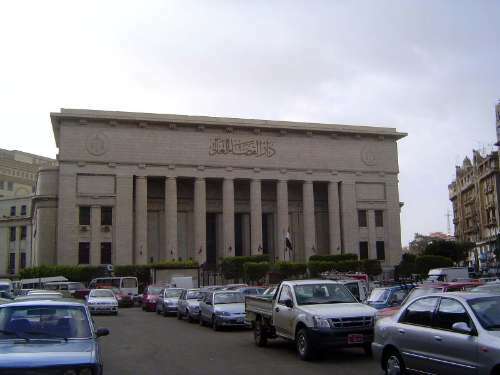 That's been its name since 1947, but it opened in 1934 as the Mixed Tribunal, with one set of laws for Egyptians and others for foreigners. 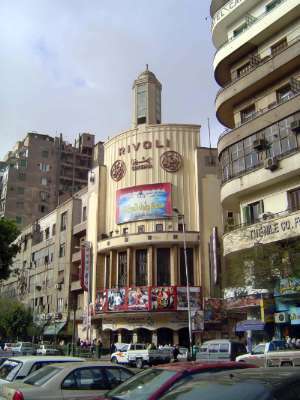 The Rivoli Cinema, now with five screens, had air conditioning as far back as 1949. 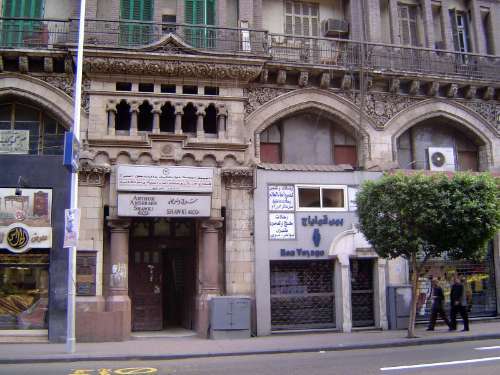 A block further along is the Tawfiqiyya Souq, on Taufiqiya Street, off Talat Harb. 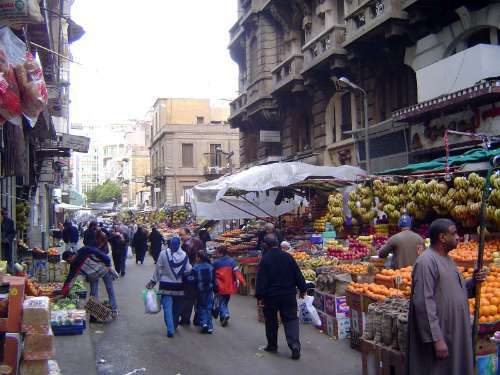 Tawfiq was the son of Ismail and father of Abbas, but unlike them his name survives in Cairo with this street and its market. 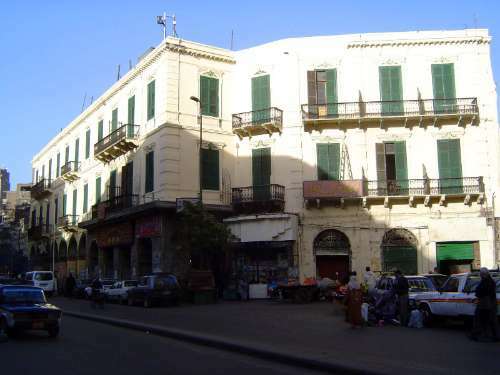 Nearby is the former Midan Tawfiq, now the Midan Orabi, named for the army officer who rebelled against Tawfiq. 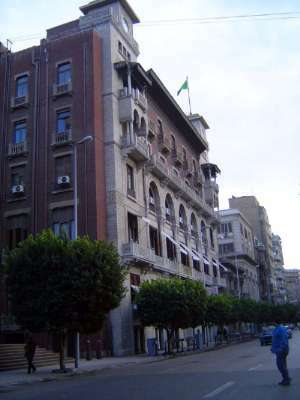 On the corner stands the office building that in the 1920s housed the Sudan Agency. 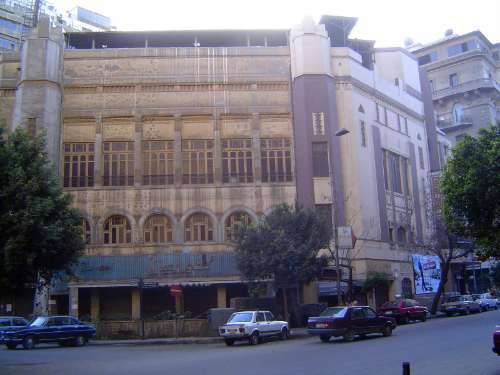 A block to the east was the Theatre Printania, specializing in operattas and comedies performed by French touring companies. Business was seasonal, and the theater closed during the summer. 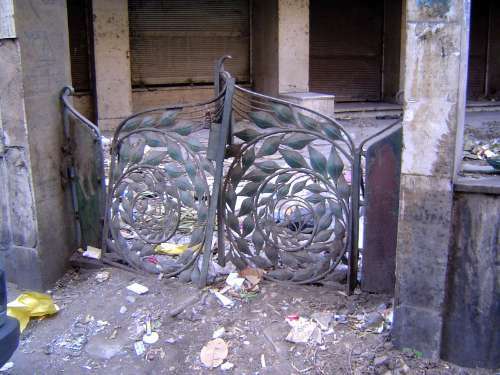 A gate to the Printannia. 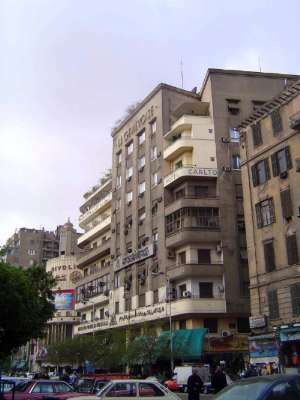 Site of Cairo's most famous old hotel, Shepheard's, destroyed in riots during 1952. Just to the east are two survivors, the American Mission Church and School in the foreground and, striped, the Hotel de Paris. The Hotel de Paris catered, as its name suggests, to French visitors but after World War I became the Russell Soldiers' Home, or Gordon Hall. 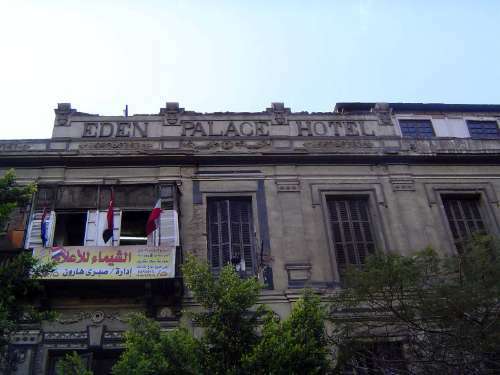 Close by was the Eden Palace Hotel, in the 1920s the headquarters for British troops in Egypt. 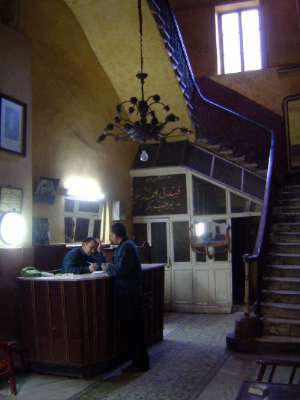 Postcards from about 1910 advertise it as a first-class hotel, with electric light. 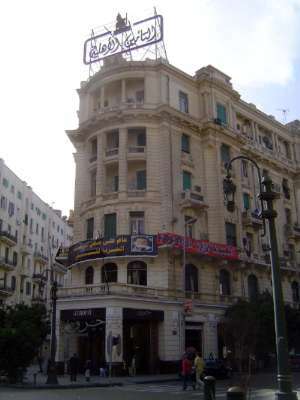 Another nearby hotel, now the Mohamed Aly. The exterior of the same hotel, originally the Bristol Hotel. Yet another hotel, this time the Continental-Savoy, originally simply the New Hotel. 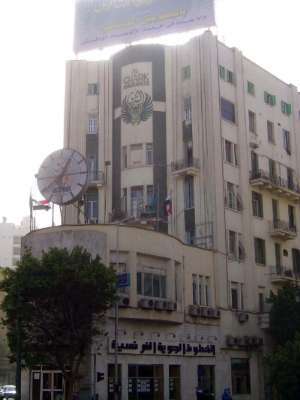 This was the home of the Arab Bureau, that famous undertaking of 1916 to stir an Arab revolt against the Turks. A few years later, in 1923, Lord Carnarvon died here after taking a quick look into King Tut's tomb, whose excavation he had financed. The Pharoah's Curse, said the press. 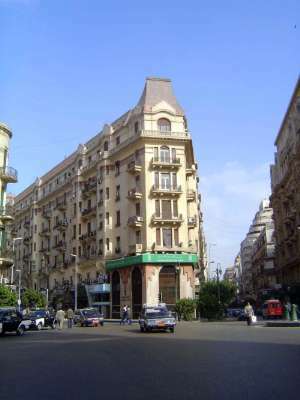 In Opera Square, near the Continental-Savoy, Ibrahim Pasha. He looks imperious, which is probably about right for a man who served as a general for Muhammad Ali. Next to the hotel is the former Calcutta Building, presumably built by Indian merchants or traders. Another block away is the St. David's building. It began with a small shop--a haberdashery, fixed-price--in the Continental-Savoy. The owner was a Welshman, John Davies Bryan. After succeeding in his hotel shop, Bryan imported two of his brothers and opened a new shop in Alexandria. 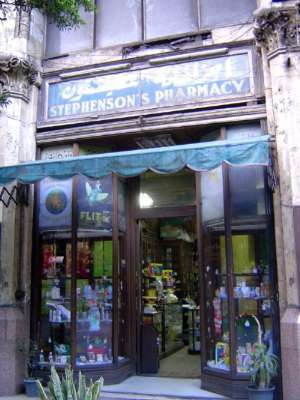 He then hired Robert Williams to design a grand store in Cairo, the St. David, which was completed in 1910. Deaths brought the business into a long slow decline, and by the 1920s space was rented to the Eastern Telegraph Company and the YMCA. A smaller store survived on the premises under the name Davies Bryan until 1961, when a state-owned insurance company moved in. 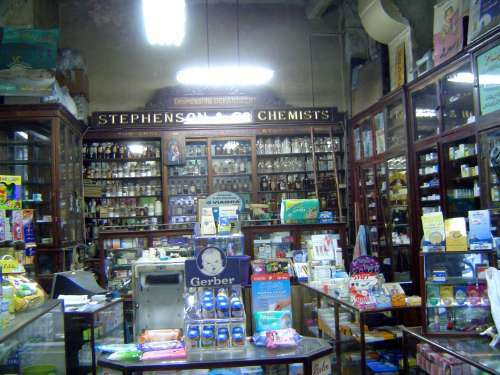 This pharmacy is a surviving relic of the old store. 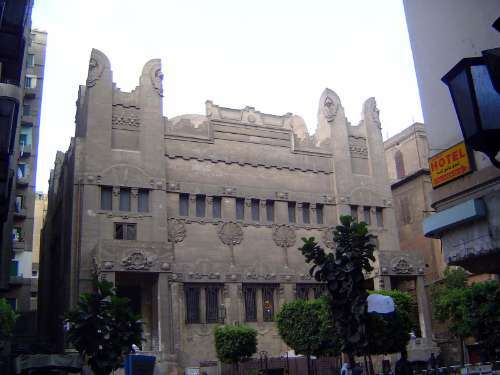 A block to the west, Cairo's lonely synagogue. 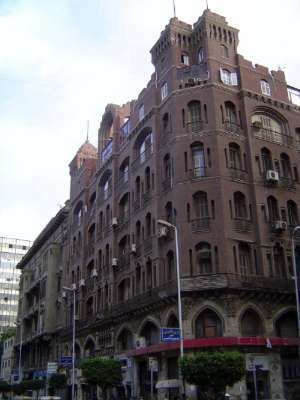 To the south, the Suares Building or Risotto Club, from 1897. 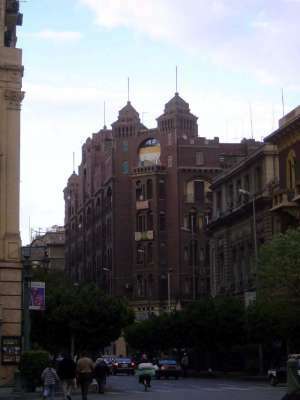 Still farther down the street is the Banque Misr, founded in the 1920s by Talat Harb. 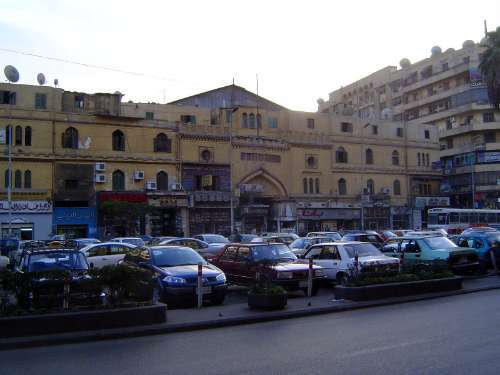 Not much to look at now, but this is the Bab el-Louk Market, a project of the Societe Des Halles Centrales d'Egypte. 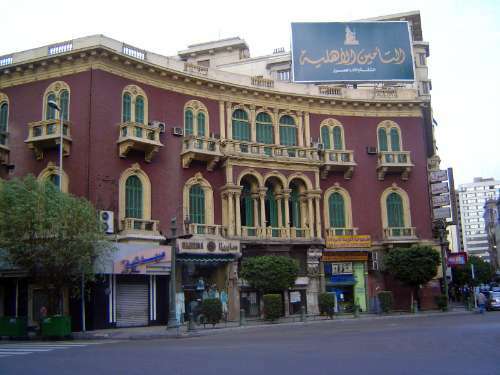 It opened in 1911, with customers coming not only from wealthy local neighborhoods but by interurban train from distant Maadi, a garden suburb to the south. 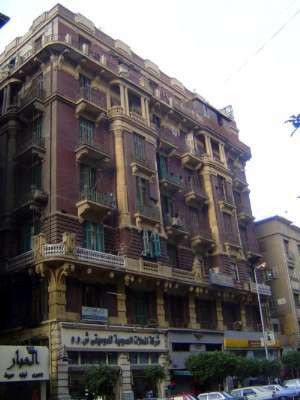 Maadi had been launched in 1904 by the same investors, operating as the Egyptian Delta Land & Investment Company. 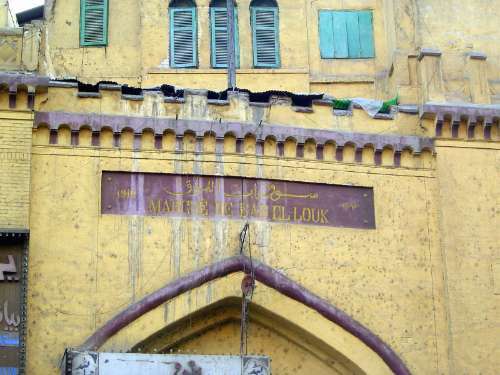 At the market's opening, Le Journal du Caire wrote that "everything can be found at the new Bab al-Louk market. Besides ample office space on the first floor, the ground floor abounds with grocery stores, restaurants, cafes, beerstubes, pharmacies, pastries and bakeries." The basement had a refrigerated storehouse for meat and dairy products.